PEKO engaged in a relationship with a mid-sized defense equipment manufacturer to develop a production manufacturing process for a new product. The customer had insufficient resources to develop an effective, consistent, production-ready manufacturing process for a military grade product, which was to be mass produced. PEKO was able to collaborate with this costumer to establish the critical parameters and develop the solution for this very specific & unique fabrication technique. PEKO’s automation and test system experience, in addition to our successful product development history, was the right fit for this challenge. PEKO utilized a multi-phase approach to develop the process solution and associated equipment. Early stage, sub-assembly prototypes were utilized to define the critical parameters of the manufacturing process. These lessons learned, along with engineering analysis of thermal and hydraulic characteristics and FMEAs, were key to developing the solution. With our 5-axis CNC machining centers, molds were fabricated in house and optimized in a timely manner. 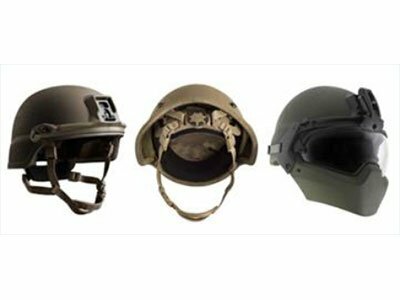 Through the interactive phases, the optimal process was determined and prototype helmet builds were transitioned into production volume fabrication at their facility. Our customer understood the requirements of the final product, however needed PEKO’s expertise to develop the production procedure to succeed. Through constant collaboration and development iterations, these requirements were accomplished utilizing a precisely controlled and monitored production process on the equipment developed and fabricated at PEKO, then transferred to the customer. When the production equipment design was finalized, multiple machines were provided to the customer’s production facility.